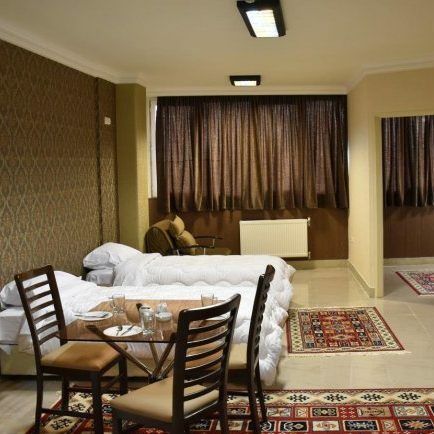 Zendeh Rood Hotel is located near the famous historical sites of Isfahan such as Naqsh-e Jahan Square, Jameh Mosque of Isfahan, Khaju Bridge. The hotel with professional and trained staff is ready to host dear guests. Famous historic building near the Hotel are Naqsh-e Jahan Square, Jameh Mosque of Isfahan, Khaju Bridge, and Hasht-Behesht. The hotel is close to the Isfahan International Exhibition and Flower Garden.